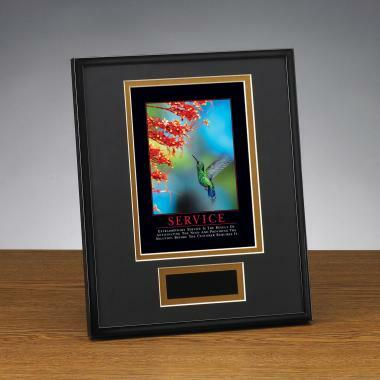 Service Hummingbird Framed Award image: Welcoming red flowers beckon a green-breasted hummingbird to drink of their nectar. 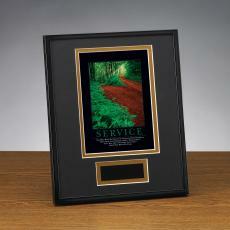 Present our individual performance framed award to customer service employees. 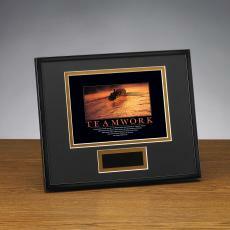 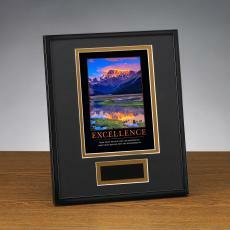 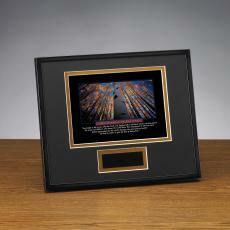 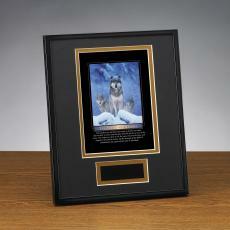 This framed award is double matted in black and gold and includes a black brass plate for personalization.